For many of us, it’s the stuff of childhood dares and fraternity hazing. In many cultures around the world, however, they’re considered fine delicacies or just regular daily fare. We’re talking insects or the more vaguely inclusive “bugs”: grubs, worms, grasshoppers, crickets, spiders, scorpions, beetles, termites, worms, ants, and other varieties in the vastly underappreciated gastronomic world of insects. “What could be more primal than eating insects?” you might ask. We would agree. Thanks to reader Tim for the suggestion. Good primitive foraging it is – Grok at his most resourceful. However, we say, don’t write off insect eating as “merely” primordial scavenging. It’s been part of many a “Golden” age as well. Ancient thriving cultures in Europe, Asia and Africa partook, and in some parts of the world today insects are a cultivated, major livestock economy. 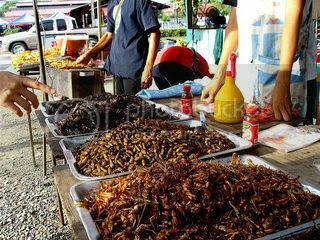 (We hear Thailand offers the pinnacle of insect delicacies.) But the idea seems to be catching on even here. And for good reason. It seems these critters boast a hefty dose of protein. Insect, pound for pound (or gram for gram), offer a truly respectable, plentiful (and cheap) protein source. Check out these nutritional assessments of edible creepy-crawlies. Nonetheless, we wouldn’t recommend just eating any bug off the street. It’s important to avoid insects that might have been exposed to pesticides and other pollutants (e.g. herbicides). While bugs are a big time crop in certain regions of the world, American insect connoisseurs find good supplies more limited, since insects aren’t packaged and inspected for human consumption in this country. Pet store supplies or raising your own (a whole new take on “ant farm”) are good options. 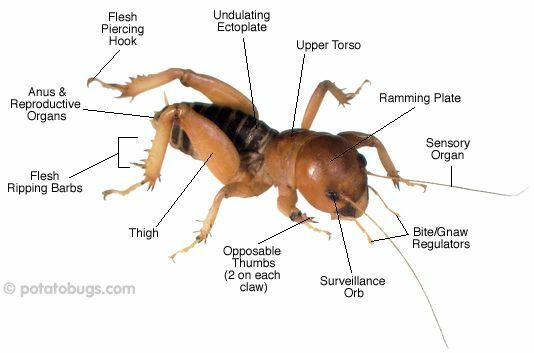 Crickets, we understand, are a common beginner’s crop. Additionally, you can try certain ethnic markets for packaged options or indulge in some true insect culinary masterpieces in one of the insect-serving restaurants opening up in a number of West and East Coast cities. Prefer to forage in the wild? 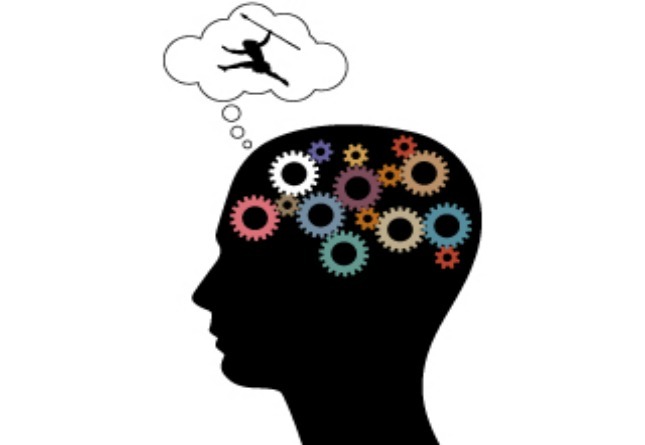 A few tips to the bold and brave out there…. Unless you truly know what you’re doing, it’s best to avoid the exotic: the hairy, the colorful. Stick with the known quantities like grasshoppers and grubs. Some of these little (or larger) guys pack a poisonous punch. Remove any fangs, pinchers, wings and legs. (It will go down more easily.) And it’s best to cook anything you want to eat. (We recommend a good campfire roasting. Talk about primal heaven!) For some insects, cooking is essential, since heating breaks down any natural toxins. Still squeamish? You can always crush them and add them to dishes in a less recognizable form. Protein without the queasiness. Need more convincing? A few months ago The New York Times highlighted a dedicated (American) advocate of insect eating, David Gracer, and the environmental and cultural arguments that fuel the growing appreciation for insect consumption in the U.S. In the midst of enjoying a decadent caramelized grasshopper, Grace offered, “Insects can feed the world. Cows and pigs are the S.U.V.’s; bugs are the bicycles.” We’d never quite thought of it that way. A sustainable agricultural model. Hmmm. Now there’s food for thought. We think they’re on to something. The Migraineur – Omnivory: Eat it All! 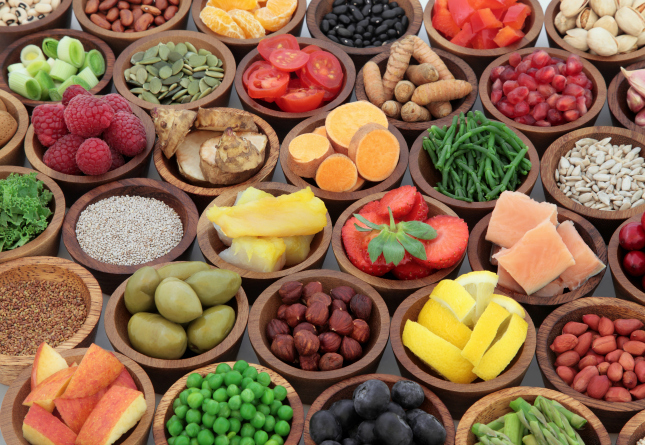 Next post >What’s Wrong With The Zone Diet? Don’t forget about the fat! Grubs are packed with fat and fat-soluble vitamins. Weston Price found that certain insects were rich sources of vitamin K2 (“activator X”), the very important vitamin that was abundant in hunter-gatherer diets but is rare in modern diets. I have to admit though, there’s not much that turns my stomach but the thought of eating grubs definitely does. 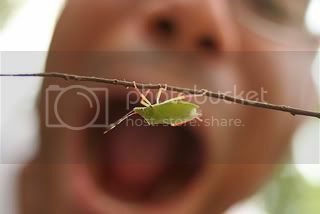 I’m actually completely fine with eating grasshoppers (though not worms. Worms, no. No.). But catching them myself? Seems like the ratio of time spent to actual food harvested could be quite discouraging. You should visit Wyoming about every three years. You could net a weeks worth in a small backyard in under an hour! Great post. You don’t have to eat bugs to get good protein, fiber, fat etc. but it is nice to know that you can. Our ancestors were probably quite used to the act of eating bugs. It is sort of odd that we don’t eat insects these days. I have always heard that insects pack a lot of protein and are considered healthy. I tried a chocolate covered grasshopper a while ago and it wasn’t bad. I think the chocolate had a lot to do with that though. I do like the analogy of cows and pigs being the SUV’s while bugs being bicycle’s, I think it will take an opened minded human to really consider the latter. Not for me, methinks, although I’d be game to try some cooked and de-winged/de-legged grasshoppers. Much of anything else? Not so much, unless an absolute necessity (see above wilderness scenario). Apparently those uh.. greyish/beige things pictured in the hand above taste quite woody. I almost threw up in my mouth, and not because Mr. Pukie was exercise induced. I’ll stick with the SUV, please! This reminds me of an excellent movie I saw ages ago with Steve McQueen, “Papillon,” where he was jailed in isolation for many, many years and kept fit by exercising in his cell and eating all the insects that has the misfortune of entering his space. I suppose we would do likewise if pressed long enough. Poisons don’t just come from the bugs themselves or something sprayed on them: Bugs can safely digest plants that are poisonous to everybody else. As a result, the bugs have a good dose of poison in them, which protects them from birds, animals, and us. If you’re going to forage in the wild, get to know the poisonous trees, shrubs, and other plants around you. Don’t eat bugs feasting on Oleander, for instance. That said, my favorite bug recipe is for cicadas. Go out early in the morning during a big emergence, and you’ll find a whole bunch of pale cicadas that have just emerged from their shells. Collect a whole bunch of these in a container, add some soy sauce, maybe some hoisin, and pop them in the refrigerator until dinner. Fry them up as the meat in any stir fry, and enjoy! Do you pull off the wings and legs before cooking or leave them whole? Potato bugs do NOT taste like potatoes. Any idea what Dung Beetles taste like? Has anyone seen “insect goodies” at some of the farmers markets? If I saw some yummy fried up varieties, I would for sure try it. I had termites, ants and crickets quite some time ago in a small town in Mexico, they were GOOOOOOOD, great taste, the good thing about ants and termites is that you can easily manipulate their flavor, rost some ants/termites with some raw cashews into a skillet you are set, great cashew tasting ants/termites! I’d have to be really, really hungry (or really, really drunk) to eat bugs. Even shrimp and crab freak me out unless they’ve already been shelled, because they look so much like big bugs. Childhood memory: The boy next door and I (both maybe six years old?) used to talk his little sister into picking up snails and sucking on them. His mom would get so mad at us! Then again, I’ve always been afraid of spiders. Nice food for thought article. They do appear to be rather high in carbs though, for those really trying to cut back. A Navy Seal friend said that the easiest survival school he did was the jungle because there was plenty (of bugs) to eat. Ewww, ewww, ewww! But I bet there’s some good protein there. The bug in the picture looks like a leaf! I’ve eaten a few insects before (on purpose). The first time was absolutely horrifying, but I had to give in because my parents forced me to. But after a while, I got used to it. Living in Japan now…some older restaurants serve locust (inago) covered in a kind of sweet sticky sauce, pretty sure they’re roasted. Not bad, but I still can’t get used to it. it is all cultural huh? sure my gut (pun intended) says ICKYUCK but when Ive lived abroad Ive eating things I thought I never would and knew that had I been born in said locale Id not think twice about it—ever. not a shockingly new comment/insight but it’s all about what you know. how many of us gag(ged) at the thought of a protein shake initially? You know shrimp are bugs, right? 🙂 GREAT TOPIC, Mark! We’ll have to get you on my podcast show sometime for an interview…contact me. Bears live on ants and berries. Everyone would be a lot healthier if we followed their example. Dung Beetle with fried in olive oil with garlic and onions is out of this world. Give it a go!! Great article. Very funny (thought you lost me!) and informative. I’ve been meaning to eat grasshoppers for some time now. A reader and friend sent me here from a Poor Blog Action Day. Are fireflies (lightning bugs) safe to eat, because I want to try them but I know they are toxic to animals. Please help me. Probably best NOT to eat something that glows. If the animals won’t eat it, you probably shouldn’t either. I’m living in Thailand where I’ve eaten a number of insects, a scorpion, and some silkworms. I have it on video at my YT channel: youtube.com/thaipulsedotcom if you want to see me eat them. I wouldn’t call them delicious – but, they aren’t horrible either… well, for the most part. Were are inherently insectivores. The earliest mammals actually survived off eating just insects and grubs they could harvest from the tree canopy. Why do you think primates have precision grip? Opposable thumbs are for picking at insects. The truth is grubs and insects are the most complete source of food. 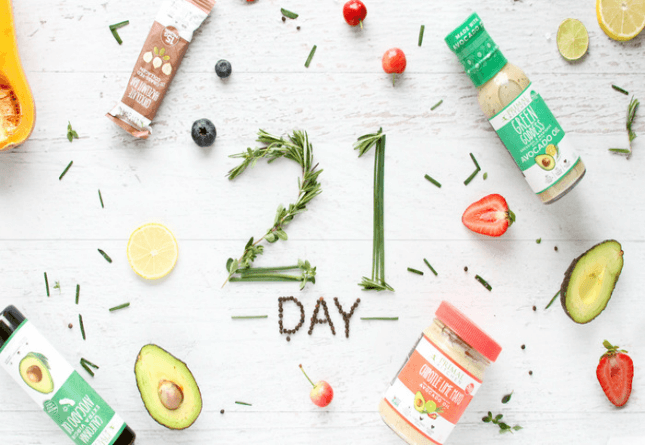 High protein, moderate healthy fat, low carbohydrate and all the vitamins you need. Exactly what humans should be eating. Its our original mammalian food source. 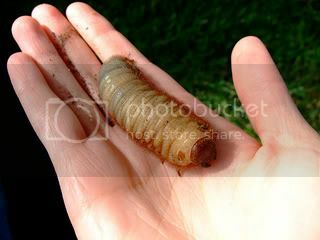 I bet a body builder could bulk on grubs 😛 I’d love to see it. The Bible says not to eat the things that creepeth upon the earth. Enough said, for me. The Bible also implies the world is flat and has a firmament seperating the water above from the water below. It states that bats are birds and implies the earth is 6000 years old. Considering this and the fact that most of the dietary restrictions were put in place to distinguish the Hebrews from the other surrounding tribes, perhaps the bible is not the most scientific or reliable source for dietary suggestions. I would really like to try bugs–I’ve heard roasted grubs have a nutty flavor. Guess I’m just waiting for a good chef and a companion culinary experimenter willing to encourage me. It’s all about perspective. We all creepeth upon the earth. Will that stop you from eating meat? Probably not. Sorry to be the pedant, but worms, spiders and scorpions are not insects. It’s also good that you used quotes whilst calling the whole bunch “bugs”. What about eating earthworms? I hear some tribes do it. Making the transition from eating crustaceans to eating insects is not a big leap. It also fits my belief that the uglier something is, the better it tastes! Hahaha. That’s a theory I think needs some testing. I am no longer positive where you’re getting your info, however good topic. I must spend a while studying more or working out more. Thanks for wonderful info I was searching for this information for my mission. There is no way. Unless I was literally going to starve. I have a hard time even eating a fish that had a head and guts when I first saw it, or a chicken that had the guts inside it. I have squeamish issues. I like to eat cute, happy foods. Somehow, my random internet journeys land me on your blog a lot. Barefoot running was one, I think. Also stumbled up on a testosterone post here, I think. And now, entomophagy. Personally, I’ve eaten superworms, waxworms, silkworms, bamboo worms, field crickets, mole crickets, and dung beetles. I also have an order of sago grubs, Chinese armor-tailed scorpions, and giant water bugs which should be arriving this week. The first one is definitely the hardest, and not because the taste or texture is off-putting. In fact, most of the bugs I’ve eaten have tasted nutty and have had textures similar to potato chips. But the psychological hangups one has when they grow up in a western culture definitely make the first time kind rough. After that, it’s easy-peasy. I haven’ tried eating any insect yet and i honestly don’t think i can. I don’t know how it feels or how it tastes. Some would say they taste good but just the thought that they are insects, i really can’t take it. But who knows, maybe someday, ill be brave enough to get a taste of these insects.